As I have said before, even though classes from java.sql package extends java.util.Date, including Timestamp they cannot be used in place of java.util.Date. Some of you may ask why? Since Timestamp has both date and time value, it should be able to acts as Date, we understand about java.sql.Date not having time component but with Timestamp we have both. Well, that's again a very good reasoning and directs your mind to find the missing part of why you cannot use Timestamp in place of date even if it has both date and time part. The answer lies in the Java documentation itself. The Timestamp class is a composite of java.util.Date and an additional nanoseconds values, required to hold the SQL TIMESTAMP fractional seconds value. If you look at the implementation of Timestamp class, you will find that only integral seconds are stored in the java.util.Date component. The fractional seconds - the nanos - are separate. The Timestamp.equals(Object) method never returns true when passed an object that isn't an instance of java.sql.Timestamp e.g. Timestamp.equals(date) will return false even if they contain same value because the nanos component of a date is unknown. As a result, the Timestamp.equals(Object) method is not symmetric with respect to the java.util.Date.equals(Object) method, hence it also violates the contract of equals method. Also, the hashCode method uses the underlying java.util.Date implementation and therefore does not include nanos in its computation. Btw, If you want to refresh your concepts of equals and hashcode, I suggest you reading Effective Java, where Joshua Bloch has discussed it in great detail. So even though, methods like getHours(), getMinutes(), getSeconds() doesn't throw IllegalArgumentException, because of these differences, you still should not use a Timestamp value in place of java.util.Date. The inheritance relationship between Timestamp and java.util.Date really denotes implementation inheritance, and not type inheritance. Now, let's see our sample Java program to convert a Timestamp value to Date in Java. In this example, our Java program connects to the Microsoft SQL server and call the CURRENT_TIMESTAMP method using PreparedStatment object. This method returns the current database system timestamp as a DATETIME value withtout the database time zone offsert. This value is derived from the operating sytsem of the computer on which the instance of SQL Server is running (see SQL fundamentals). When we read this value in Java using ResultSet, we use the getTimestamp() method and pass it the column index. If you remember, columns in JDBC API starts with 1 instead of zero, we pass 1. We also need to call the next() method of ResultSet to move the cursor to the first element, otherwise you won't the correct value. Once you got the java.sql.Timestamp value, just call the getTime() and create a java.util.Date instnace using that. Now, you have successfully converted a java.sql.Timestamp value to java.util.Date value. * Java Program to convert Timestamp to Date in JDBC. A couple of important things to learn in this program, first, I have not called the Class.forName() method to explicitly load the JDBC driver because from Java 1.6 onward, it can be automatically loaded by JVM. The second important thing is the use of setting the logger for DriverManager, which will print important details e.g. which JDBC driver it is loading and which host and port it is connecting to database. The code to convert Timestamp into a java.util.Date is inside main() method, you can see it's quite simple, just take the long millisecond value by calling getTime() on Timestamp and pass it to Date constructor, that's it, you are done. 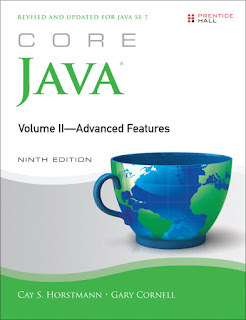 You can further read Core Java, Volume II--Advanced Features by Cay S. Horstmann to learn more about JDBC driver and other JDBC concepts, one of the most useful books to learn Java concepts. - Timestamp class has both date and time value as Date but cannot be used in place of java.util.Date becaues of additional nanosecond value it supports. - The Timestamp.equals(Object) method will return false if you compare Timestamp with Date, this is one of the reasons you cannot use Timestamp in place of Date in Java. - The Timestamp class has "s" instead of "S" which you might expect given most of the Java classes are written using Camel case. Another one is Hashtable with "t" intead of "T"
- Columns are started with index 1 instead of zero hence getTimestamp(1) is used. This is not just related to Timestamp but related to ResultSet in JDBC and you must remember this to avoid java.sql.SQLException: invalid column index, which often comes when a programmer tries to access the first column with index zero, which is invalid. - Don't forget to call ResultSet.next() method before calling get() even if it contains just one row. It is required to move the cursor to first element. It's a tricky concept to master but if you don't know the right way to check if ResultSet is empty or not, you will struggle to write robust JDBC code in future. That's all about how to convert a Timestamp to Date in Java. As a programmer working with Java, JDBC and database you must know these details about Timestamp and Date class, its imperative to write correct JDBC code. Unfortunately, Java could have done better job by standaring things, as it's a drawback of an API, if programmer needs to remember so many exceptional cases.